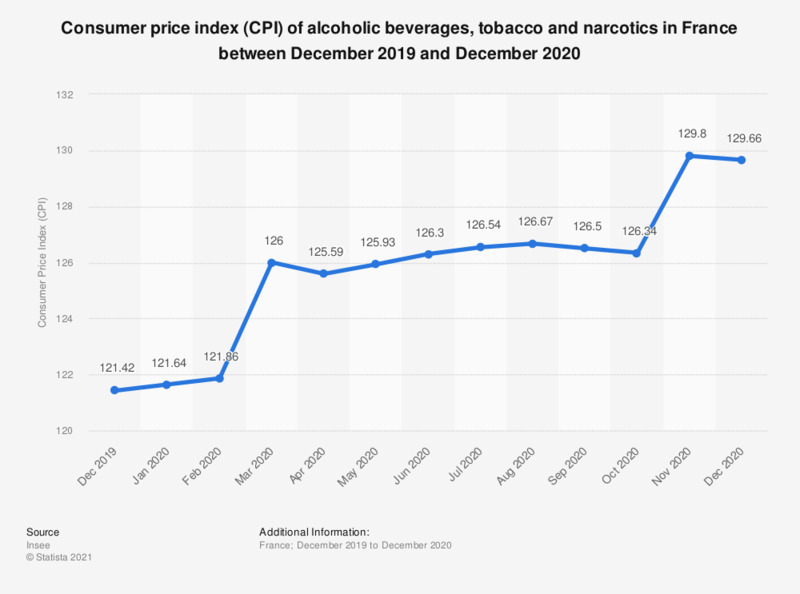 This statistic illustrates the evolution of the consumer price index (CPI) of alcoholic beverages, tobacco and narcotics in France, from February 2018 to February 2019. The CPI was over 111 in December 2018. In February 2019, the CPI, after having increased, was about 112.